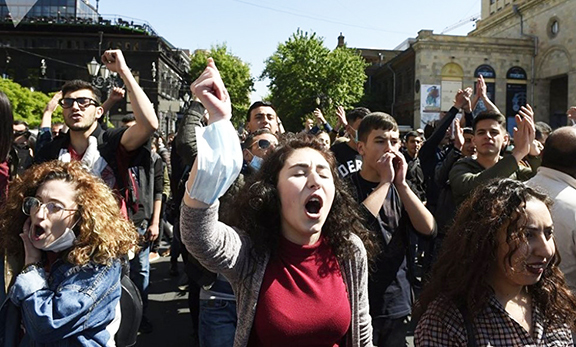 A year has passed from the day that every Armenian around the world was shocked as unrest gripped Yerevan and as a result Armenia’s died during post-presidential election riots. It has been a long and arduous road, and we can safely say that Armenia and Armenia’s have not yet recovered from the events of March 1. Some believe that perhaps the post-election rallies and the subsequent state of emergency that was declared served as a lesson that more needs to be done to strengthen the democratic foundations of Armenia. What happened in Armenia after the elections was neither civil nor did it foster the notion of furthering national interests. Instead, what emerged was a one-time oppressor screaming foul play, and a nation frustrated by the socio-economic conditions was finding an outlet to vent, but not necessarily to join the movement created by former President Levon Ter-Petrosian. The international community, as well, propelled by their own interests, saw an opportunity to a jab at Armenia with the Parliamentary Assembly of Council of Europe threatening to take away Armenia’s voting rights and the classic: the US government, with its policy of tapping its citizens’ phones and torturing prisoners, was calling Armenia undemocratic. Armenia is still reeling from the aftereffects of the March 1 unrest with trials and continued posturing by the opposition inside Armenia and pressures from the Europe on the international front. The larger lesson is that the road to strengthening democracy our almost 17-year-old republic is long and arduous, but it is clear that we must traverse together as one nation.